June 29, 2012 | Posted by Lee C.
Has your bedroom had the same decor as long as you can remember? Is your comforter getting worn out, or are you just tired of that floral print? A duvet cover may be the perfect solution for you. Without having to redecorate entirely, a duvet cover can add a quick splash of color to your bedroom. 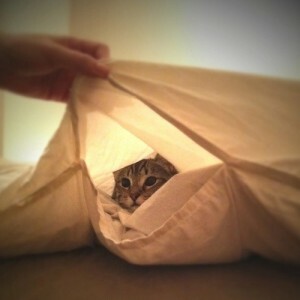 A duvet cover is designed to fit over a comforter. Traditionally, this was a down comforter, but they will typically fit over any kind of comforter. They are ideal for plain white down or synthetic comforters, because these types of comforters are difficult to wash. They often loose their shape if washed improperly. A duvet cover can slip on and off easily and it is usually machine washable. This helps you keep your bedding clean and free from allergens very easily. Down comforters are also usually sold as plain white. Adding a duvet cover will allow you to fit a down comforter into any decorative style. Use a solid color duvet cover with printed sheets, or choose several colors that work well together for a bold look. For example, use several shades of purple, a dark purple duvet cover, over a lighter purple blanket with lavender or white sheets. With many of choices for colors and styles, a duvet cover can be the perfect way to change the decor in your bedroom, without having to paint or change the carpet. Simply find a style that works with what you have. If you have print wallpaper, use a duvet cover that will bring out some of the subtler colors in the wallpaper. If your walls are painted, use a duvet cover that is a slightly lighter or darker shade than the paint. If your walls are white, choose your favorite color and then accent with art that compliments those colors. Pillow shams are another great way to dress up your room, and make good use of color. Whether you want to protect a new comforter, or transform an old comforter, a duvet cover is a perfect choice. Have fun experimenting with color and style as you transform your bedroom with one easy and useful bedding accessory. Do you have any bedroom decorating tips? How does wool work as an insulator? It is common knowledge that a wool sweater will keep you warm and dry if you find yourself in wet, chilly weather, while cotton will leave you feeling cold and damp. But, why does wool work so well as an insulator? And, does it have uses beyond sweaters? Wool works as an insulator for the same reasons fiberglass works well. According to HowStuffWorks, the natural properties of the fiber contain many tiny air pockets. These air pockets prevent heat from moving away from your body, or heat from the air moving toward your body, keeping your temperature regulated. Wool also has a natural property that allows it to take up water without losing the air pockets, this is why wool continues to insulate even when damp. Water is an excellent heat conductor. So, when cotton becomes wet, its air pockets are filled with water which quickly conducts heat away from your body, causing you to become chilly. 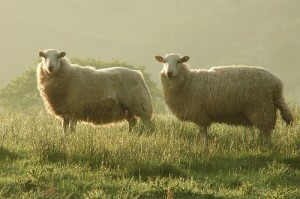 According to the Organic Trade Association organically raised sheep are fed only certified organic feed. The use of synthetic hormones and genetic engineering is prohibited, as well as synthetic pesticides which are typically used to treat external parasites such as ticks. Organic wool keeps harsh toxic chemicals away from the sheep and ultimately you. Wool works well not only as all weather insulated clothing, but also as bedding. A wool comforter or an organic wool mattress pad may be the key to not only keeping you dry and your body temperature regulated in any season, but a healthy choice for your bedding needs. What are the best uses you have found for wool? June 25, 2012 | Posted by Lee C.
Is it possible to design your bedroom for better sleep? Many scientific studies seem to prove that design can improve your mood and overall health. Concerning sleep, there are many variables in design that can have an impact on how well you sleep at night. The issue of good sleep is an important one. Memory seems to be the biggest benefactor of sleep. In a recent study, scientists found that sleep enabled the brain to take in and store new information. One aspect that can often be overlooked is the way your bedroom is designed. The environment you sleep in has just as much importance as other factors when it comes to getting a good night’s sleep. There are a few key factors that lead to a good bedroom design. Each has importance and all focus on easing your mind and allowing your body, mind and soul to be peaceful and at ease as you ready to lay down each night. Stress Free Layout – It’s important to have few barriers in the bedroom. One example of a good bedroom design is to not put a bed against the wall. This is especially important if two people are using the bed. Eye Pleasing – The human mind is triggered by design. Each of us has our own design tastes. There are objects that are pleasing to our eye. When we see something beautiful we feel calm and at ease. There is no more important time to feel at ease than right before bed time. Surround yourself with soft tones and colors that are calming and make you feel peaceful as you lay down to rest. For some this might mean shades of white and tan with soft fabrics. Curves are also another calming design element as opposed to sharp, metallic lines. Comfortable Fabrics – The design of a bedroom also includes the way your bedroom feels. You want the items to feel calming and peaceful. This brings curves and softness back again as they were mentioned above. You want soft curtains, soft carpets, a soft mattress and comfortable bed linens as well. In the wintertime this usually means soft, warm flannel sheets. They are perfect for letting your body fall into bed and drift off to dream. Quality sleep is something we all strive for at night. Try these few simple tips in your bedroom and you’ll be setting yourself up for a great night of sleep. June 21, 2012 | Posted by Lee C.
Bedtime routines are highly recommended to start off a good night of sleep for babies and children, but they can also be helpful for adults. One of the National Sleep Foundation’s top 10 tips for getting a good night sleep is having a bedtime routine. Starting your night of sleep with a bedtime routine can help you avoid laying in bed awake, or waking up in the middle of the night. Consistently doing the same things every night before bed will signal to your body that it is time to sleep. It will help you relax and make falling asleep easier. 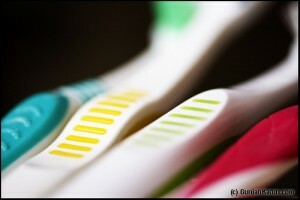 So what types of things can an adult do, besides brushing your teeth, for a bedtime routine? Choose something that relaxes you. Sip decaffeinated tea while you read for a few minutes. If you are a worrier, write down all of the things you might worry about when you lay down, and tell yourself you will look at the list and worry about it tomorrow. If you are task oriented and tomorrow’s tasks will distract you from sleeping tonight, write down your to-do list and then commit to not thinking about it again until the morning. Or, you can journal for a few minutes about thoughts from the day you just had. Even simple things that are necessary before bed can signal sleep, if they are done every night, such as starting the dishwasher, laying out clothes for the morning or picking up around the house. Also, the NSF recommends avoiding doing anything but sleeping in your bed. If you want to read or watch TV before you sleep, do it in another room, and avoid drifting off to sleep. If you get drowsy, go to bed. This will help your body know that sleeping is what you do in your room, so when you enter your bed you will be ready to rest. To implement your routine well, know how long it takes you to wind down. You may be a person who needs an hour of relaxation and routine before you can fall asleep. Or, maybe just brushing your teeth is enough of a routine to help you fall asleep. Keep in mind that some days may be more stressful than others and will require more time to relax. Be sure to plan accordingly on these days and expect to spend more of the evening calming down rather than trying to accomplish more tasks. How do you unwind at the end of the day? What bedtime rituals help you fall asleep?